Watts Alumni, Cici West has just completed an incredible senior season. The 5’10” forward/guard was a standout at Holy Names Academy before going on to have a stellar college career at Portland State University as an undergrad and Seattle Pacific University as a graduate student. While her playing career was an incredible success, Cici’s journey to making her Division 1 dream a reality was anything but easy. 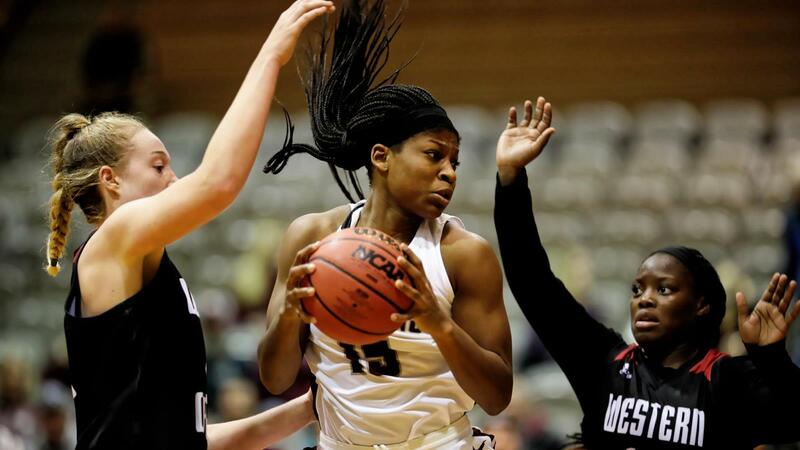 “I genuinely loved my high school experience on and off the court,” Cici explains of her time as a varsity starter at Seattle’s Holy Names Academy. The challenges started early in high school. One day, during practice she started to not be able to hear very well, she was losing her balance, and didn’t feel right. The diagnosis itself was scary enough, but the doctor’s recommendation was heartbreaking. By her junior year of high school, Cici’s relentless determination to overcome every challenge was paying off. She was a standout student who’s leadership roles in her extra curricular activities were too numerous to list. 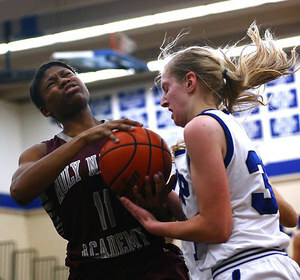 On the court, her play had drawn the attention of several college programs. As her high school career began reaching it’s end, fear began to creep in to Cici’s thoughts. While that fear can often derail even the toughest of people, for Cici, she turned to her mentor for advice. At the end of her senior season in high school, Cici still hadn’t received an offer from a program that met her desire. She was understandably upset and worried. Determined not to settle for less than she felt she was worth, Cici and Donald got to work. An opportunity did indeed present itself. Portland State University was having a tryout to fill an open spot on their roster. The missed shots didn’t effect the coaches opinion of Cici’s ability, however. It was the opportunity Cici had worked her entire life for. She was thrilled. 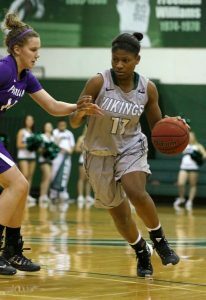 At Portland State, Cici faced the typical initial struggles of transitioning to the college game. She had an average freshman year, but by her sophomore campaign Cici was excelling. She nearly averaged a double-double with 10 points and 9.5 rebounds per game, and set the Portland State record for rebounds in a season with 286. Even with the success, there were still moments when she had doubts. Cici did just that. She finished the game with an incredible 19 points and 16 rebounds for her 10th double double of the season. Entering her junior season, Cici would see her roll change with Portland State. With new players joining the program, her roll was reduced. At the end of the season, having already earned her bachelors degree in only three years, Cici decided it was time to pursue her masters degree and she really wanted to do so back in Seattle. However, just five games into her 2017 season with Seattle Pacific University, Cici tore her ACL. Many players would see this as a major setback, but just as with her auto-immune diagnosis in high school, Cici was focused on overcoming the obstacle. This past season, as a fifth year, graduate senior, Cici showed out. Averaging 10.4 points, 8.8 rebounds and posting season highs of 20 points and 18 rebounds, respectively. On senior night, Cici had a chance to reflect and thank the people who had stood by her through her journey. It as a touching gesture by an incredible person who overcame every obstacle placed before her and seized her dream. For those who know her, it is the perfect microcosm of who Cici West truly is. With her playing career now over, and possessing a bachelors degree and an MBA, Cici embarks on the next chapter of her story as a leader in the business world. With how she handles challenges, the next chapter will be one we all look forward to reading!